Research has established that growing up with animals is beneficial for children both physically and psychologically. The physical benefits include improved immunity to disease and auto-immune problems like allergies and the increased opportunity for exercise. 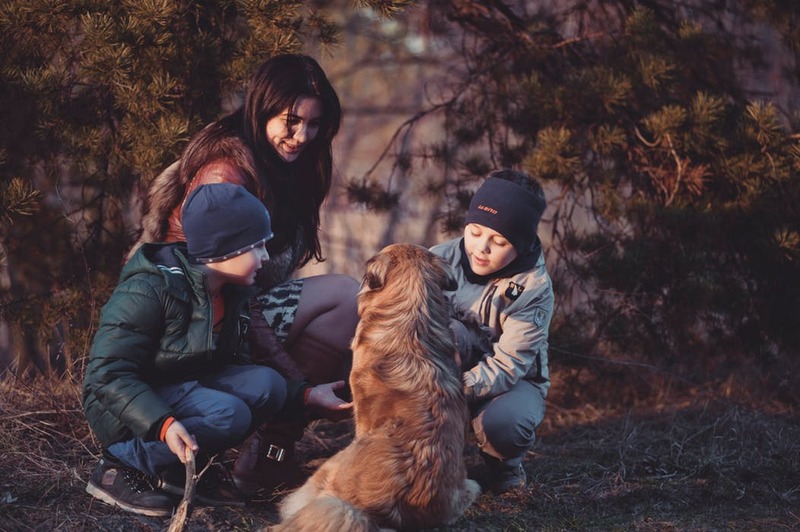 Pets can also be a source of emotional support, a friend, and companion when kids are struggling with some the more difficult aspects of growing up, or in times of crisis. Most kids will at some time beg you to buy them a puppy or a kitten, or a cute little furry gerbil, or a cuddly rabbit. However, if you agree to having a pet, you don’t want to be burdened with the responsibility of caring for it after the initial novelty has worn off. It’s important to choose your pet with care so that the animal fits into your home and lifestyle well. A dog is, without doubt, the most demanding animal, in that they need a lot of attention and exercise if they are to be healthy and happy. They will also need to be correctly trained and well-behaved. What you put into them you definitely get back, and more, as they are also the most rewarding and companionable of pets. Don’t get a dog if it will be on its own all day, or your kids have after-school clubs that would make it hard to find time for walks every day. Cats are less hassle as they don’t need exercise, but that doesn’t mean they are entirely self-sufficient! Small animals like rabbits, hamsters, guinea pigs and gerbils are popular because they are seen as less demanding, but are still affectionate and a manageable size. As they are less vocal in their demands than dogs and cats, and because they are kept in cages rather than roaming free, they are easier to forget about too. If you don’t feel you can manage the extra work and expense of a pet, it’s better not to have one, rather than take on an animal that you can’t cope with. Baby animals are incredibly cute, and kids find them irresistible. The problem is, they won’t stay like that for long, and will soon grow up to be much bigger, more boisterous, and less cute! In some ways, it’s better for children to have a fully-grown dog or cat, so they don’t lose interest as the animal grows. If you’re an experienced pet owner who knows what to expect this may be less of an issue, but for novices with young children, it’s probably not advisable to start with a baby animal. Animals all have their own unique personalities, just like humans. However, they have different needs and desires, and it’s important to understand how their minds work and not view them as four-legged furry humans. Make sure you and the children know what your pet needs and what its behavior is signaling. Animals can be friendly and cuddly, laid-back, calm, and perennially good-natured, and that is ideally what you want when choosing a pet for children. Pets can also be highly-strung, difficult, aloof, hyperactive, and destructive! Types and the breeds within them can be a guide but aren’t definitive. If you choose a pet from a rescue center, you will have the opportunity to meet many different animals, all of whom will be potentially compatible with your life and family. You will also be given time to get to know the animal before taking it home, so you can be sure you’ll all get along. If you choose carefully and look after your pet properly, the odds are good that all should be well, but problems can occur for various reasons. If you’re having trouble with the behavior of your dog, get some help from an expert handler and trainer like Ty The Dog Guy. A dog that doesn’t do what it’s asked is potentially dangerous, so don’t take any chances. The good news is that many issues can be easily resolved with the right advice and assistance. Indoor soiling is something that can happen occasionally, even with normally fastidious animals. First, check for any sign of illness, and if there are any symptoms of ill health, make an appointment with your veterinarian. If there is no health problem, and no restriction on their access to the outdoors, then a psychological cause is the most probable. There are plenty of authoritative websites offering advice on such issues, just make sure they are written by experts before taking on board their advice. You may need the services of a behavioral therapist, a role that is now much more widely accessible and mainstream. Cats will claw at anything that they feel will help them remove their old nail sheaths, and can cause a lot of damage to interiors, so make sure they have access to scratching posts of various kinds and put anti-scratch tape on the furniture. Dogs are more prone to chewing, especially certain breeds like terriers, so make sure they have a plentiful supply of suitable bones and toys. Some children have a natural affinity with animals and will gladly care for their pet from the word go. Others have more of a passing interest and move on to something new that catches their eye. Hopefully, you’ll have a good idea of which camp your child falls in, and use this knowledge to guide you when you are thinking about getting a pet. You need to make it clear that the pet is their responsibility, and they will be expected to care for it properly. You can’t leave everything to the child, they will need supervision, advice and sometimes a bit of help, but do all these things in a positive way, so that pet ownership doesn’t turn into a chore for them. Pets can bring your children happiness and fulfillment and can teach a lot about responsibility, caring for others, and the welfare of animals in general. You just need to be sure you can manage a pet, get the right one, and make sure it’s well cared for.